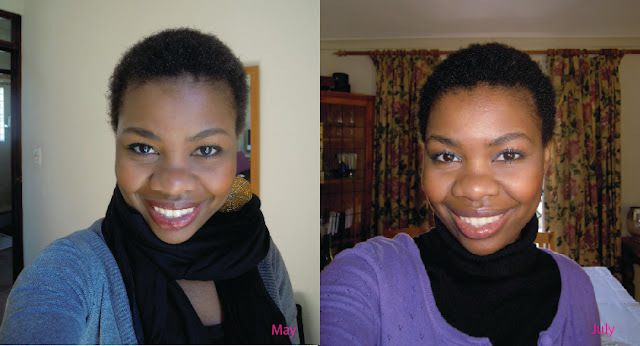 The second month after I big chopped, I was still excited but I began to feel calmer than the last month. 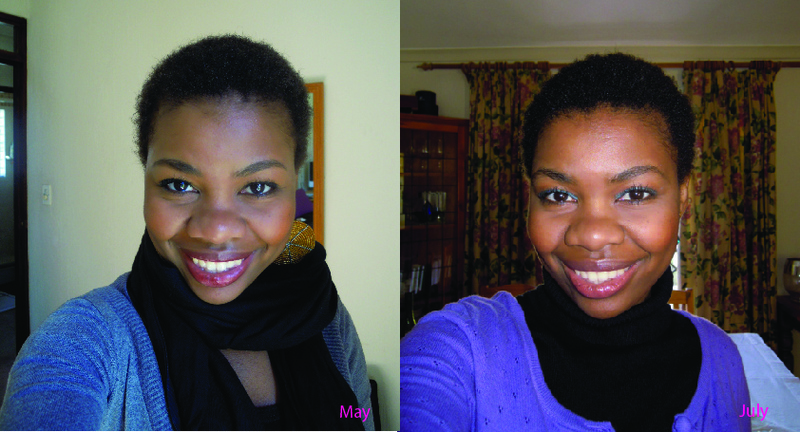 I’d noticed that my hair had already grown a bit and gotten thicker. It was the dead of winter but I continued co-washing my hair several times a week. It was so liberating being able to shower without a shower cap on! 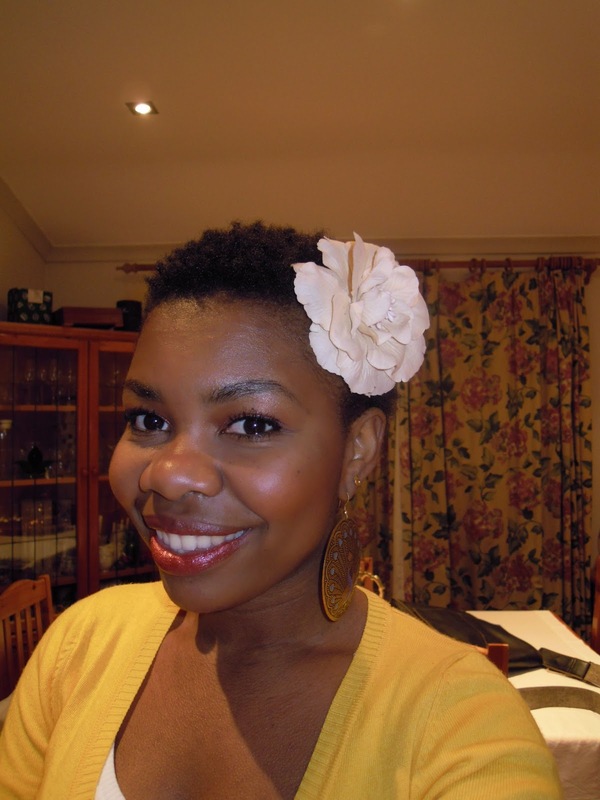 I continued experimenting with bold lipstick and make up, I felt very bleh without it. out look. 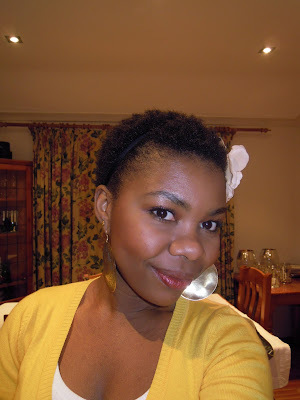 To achieve the “bumps” or curlier look, I’d co-wash and rub some zesty lemon better on my hands then rub my hands on my hair in circular motions all the way around. 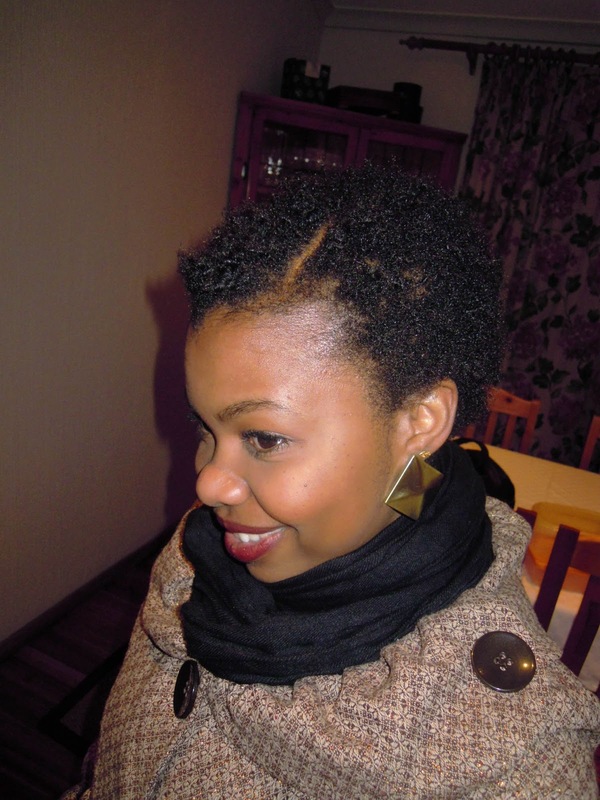 I’d also use gel (Organic Root Stimulator gel, still use it today) to slick down my little curly baby hair on the edges. 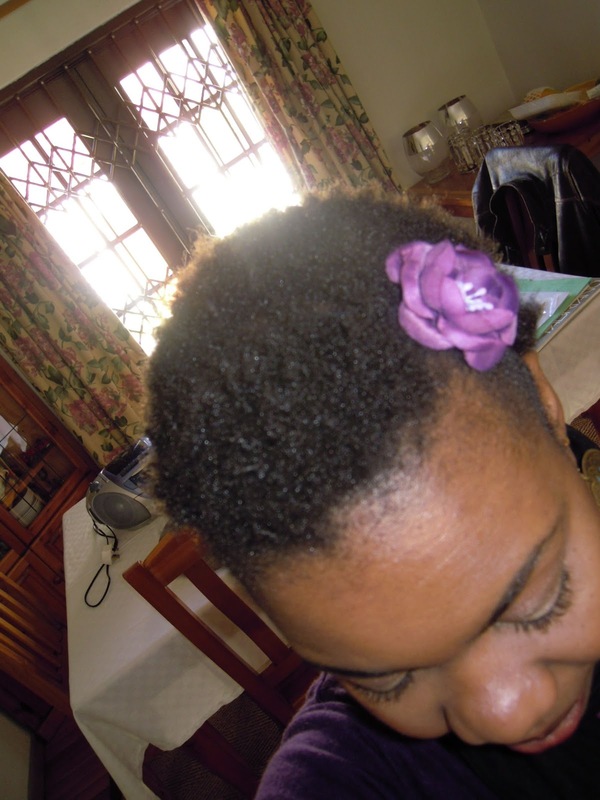 I’d then use a headband and pull it upwards towards the back of my hair but not too far as my hair was still too short. I’d then take out a little section in the front to give it a teeny weeny mohawky effect. Once I discovered this style, I was hooked! 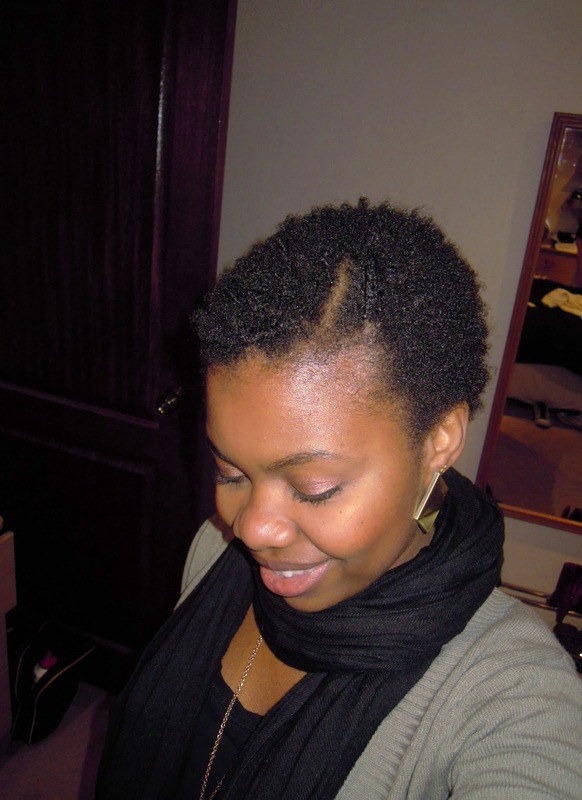 also wrote my second review of my natural hair journey. I was also starting to itch for length. Hey I feel like my hair doesn't grow rapidly. Any suggestions to stimulate growth? Hey I feel like my natural hair doesn't grow as rapidly. Any suggestions on how to stimulate growth? Hey gal, I also have a short fro and I kinda dont know what to do with it. What were you using on yours, it looks so shiny! Hi! I just finished reading your blog(all of it) and have thouroughly enjoyed it. U write so well and it was refreshing to read about products found in SA. Keep up the good work! Wow, thank you for such a nice comment 😀 You really read my entire blog?! *high 5* and *hugs* Thanks, you're awesome!